Petrochemical plants offer many challenges and concerns to keep the operation moving forward as planned and in a safe manner. 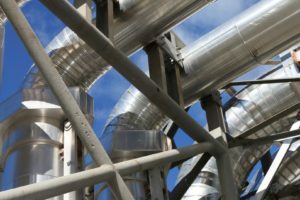 Durus offers solutions to any of your specialized project’s needs from maintaining or new installation of piping materials, pumps, valves and structural steel. Our skilled, certified ASME/AWS welders can handle any special exotic alloyed metals you need welded. Durus Industrial provides highly skilled welding, mechanical, and millwright services to industrial clients, primarily in mining and power generation. Copyright 2015-2018 Durus Industrial, LLC. Created by The Concierge Web Co.